In the Tang Dynasty, a mysterious creature has almost destroyed the entire Imperial Fleet. For the people of Luoyang, it is a sea dragon. To appease it, the most beautiful courtesan, Yin (Angelababy), is enclosed in the Temple of Sea Dragon. 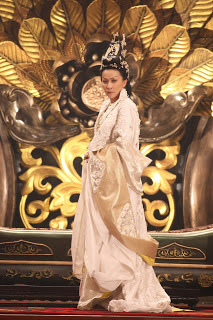 Meanwhile, the Empress Wu (Carina Lau) orders Yuchi Zhenjin (Shaofeng Feng), Chief Commissioner of the Supreme Temple, to investigate. 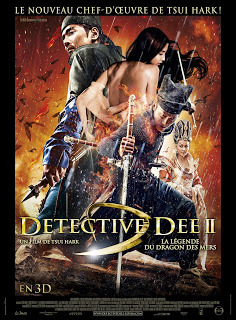 Young Detective Dee: Rise of the Sea Dragon : a good Chinese 3D movie? 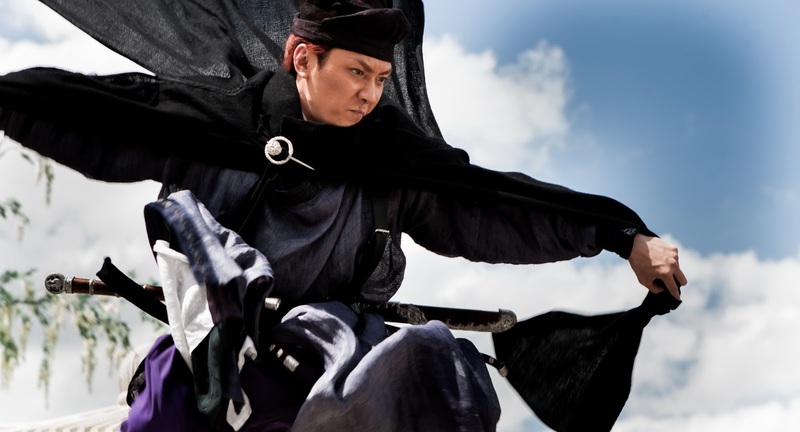 While the fashion in United States is to make blockbusters from comics, China is adapting its popular heroes of the imperial period. So it’s the return in theaters of the Chinese Sherlock Holmes Chinese, Detective Dee, a character who actually lived in the Tang Dynasty between 630 and 700 and whose life has been romanticized by many authors and recently by director Tsui Hark in a previous film (Detective Dee: Mystery of the phantom Flame, 2010). We are always a little sceptical of Chinese blockbusters in 3D. The fashion of stereoscopic 3D has so quickly invaded the country that almost all films must have this logo if they want to meet their audience in official theaters. So, after the first scenes of Young Detective Dee: Rise of the Sea Dragon to explain the context (countries in conflict, the different dynasties), the film begins with a not very successful 3D scene where a fleet of several boats is struck down by a mysterious sea dragon. After the view of the 3D special effects of this opening scene, our preconceived ideas seems to be confirmed. Another recurrence in this commercial cinema: the main characters (Yuchi, Dee and Yin) appear in beautiful traditional and modernized costumes and hairstyles. Almost too good to be true but nevermind. In short, these first scenes of Young Detective Dee: Rise of the Sea Dragon announce a so so following and we already start to regret to have to wear such heavy 3D glasses for such a film. But because our recollection of the first film (in 2D), with Andy Lau as lead actor, we stay. Then comes the scene of the kidnapping of the courtesan Yin in the Temple of the Sea Dragon. This one will finally justify the use of this 3D that we have so far criticized. Rushed to save the courtesan, Dee will oppose to her kidnappers in a choreography of fights magnified by incredible slow motions in 3D. Thus begin a use of 3D both captivating (spectacular fighting) and fun (eg, images of flashback embedded in the background of the image). Obviously, the film does not avoid the pitfalls by focusing on technical accomplishments (actions, sets, costumes) at the cost of the story but the quality of the direction eventually carries us to the final resolution. 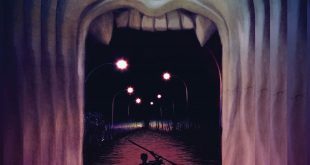 In summary, Young Detective Dee: Rise of the Sea Dragon will probably not be the blockbuster of the year— for our part, we prefer the better one Edge of Tomorrow by Doug Liman — but the expertise of the director Tsui Hark manages to sublimate a story not free from kitsch — you have to be bold to shot a “swamp monster” made out of cardboard in 2013! So, if you are a fan of the genre or of the 3D, don’t deny yourself the pleasure of seeing this film! Next “The Double” (2013), the film which sees two of everything!